Originally designed and used in the Coronado Ventura and Pacifica Stock-series recording consoles, this item became popular as a console EQ for custom music and film recording in the mid 70’s to 80’s. Eventually there will be a updated version designed and manufactured. The 333C is a special version made for two large-format recording consoles. One is owned by 20th Century Fox, now Sony. The other is owned by Lionsgate Films. 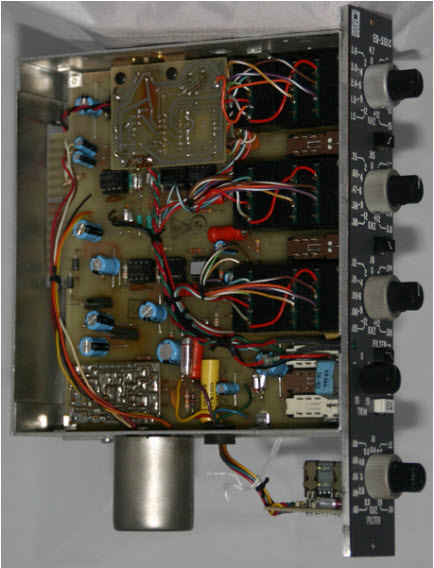 The 333C incorporated custom-made multi-section pots that gave the EQ 30 0.8db steps and 30 selectable frequencies per band, plus swept high and low filters – a line trim and a multi-function signal LED. Less than 150 of these EQs exist. They are currently integrated into products Orphan Audio has for sale.